This way I can just quick recap and mention the good and bad parts. I'm constantly watching movies so it would be a horrible ordeal for me personally if I wrote reviews on every film I watched. A lot of the films I watch aren't worthy even for a review, but this way I can scan all the films I watch and pick out certain films from the huge viewing Schedule. A very interesting science fiction movie. Had no idea what to expect from this and I must say I was relatively entertained. I enjoyed the mystery of what was going on and felt the overall story as it concluded into something I was never expecting. Great hidden science fiction. I think the special effects worked and loved the odd and strange ideas taking place. I think why this worked for me so much was the ultimate mystery and conclusion. 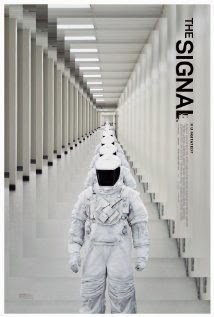 I went into it with no knowledge of what the film was about, other than a Signal and images of a bunch of people in astronaut suits. Phenomenal acting by all, specially Brenton. Plot: A vengeful fairy is driven to curse an infant princess, only to discover that the child may be the one person who can restore peace to their troubled land. I think if you go into this one with a wonderful imagination, then I feel it works. I think it's a magical adventure. A wonderful popcorn flick. I think it has spectacular special-effects. It has some magical imaginative moments that shine in perfect fairy tale reality. 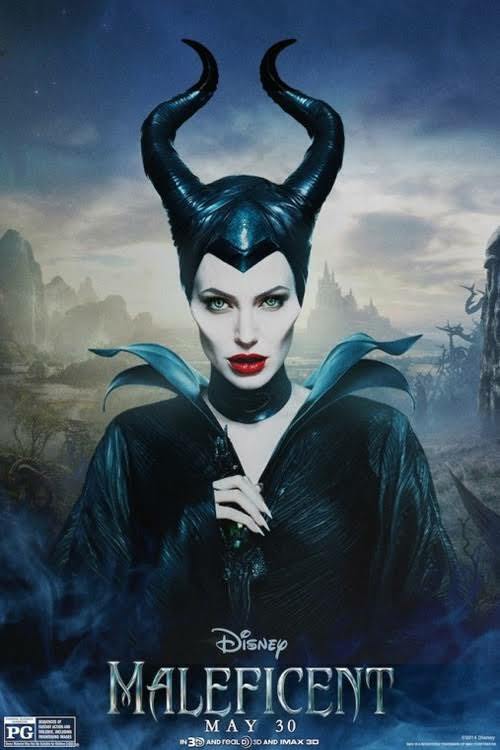 Jolie was awesome in the part and I liked how they changed and twisted the story and created something new and fresh to the old tale. I was entertained and that's all I ask for. If you go into this wanting something thought provoking or award worthy, then you will be majorly let down. Go into it like a child, adventuring into the worlds of make believe. I found myself enjoying this movie for some odd reason. I am not a huge fan of found footage style of cinema and so going into this I really didn’t have any high expectations on what I was about to see. I must say I liked the story and the altered reality, the upside-down concept. There was a nice creepy tone to the film. It’s simple, unoriginal, but still held my attention, and I found myself enjoying it more than I thought I would. Really liked the story on the philosopher’s stone, and the hidden archaeological finds of history. A mix of horror with myth and legend, in a history setting, was very entertaining in my viewpoint. Go into this wanting a simple horror and it works. Fun, creepy and mythical based. Like the spooks and the darkness and the closed in Coffin, buried alive reality. National Treasure meets The Blair Witch. Plot: The year is 1938. The Japanese occupation is happening. Ju-ran a sick girl is transferred to a sanatorium for girls, kind of like a boarding house. There she is supposed to recover from her illness. There she goes about special treatment. Soon the mystery starts when young girls start to vanish. To make things worse her body seems to be changing. Plus she has visions of bleeding, hurt girls. Nightmares plague her. And the mystery thickens. This is a dark tale. It has the atmosphere of a Gothic tale. Mysterious. It plays out like most of these Korean/Japanese/ Chinese horror films. Young girls. Seeing things. People disappearing. Creepy moments in the dark. Scary Korean girls making fast movements. Solid performances. Great acting through out. Love the thick mystery and the overall what the hell is happening. Directed with a flawless expertise by Lee Hae-young. Starring Park Bo-young, she does a fabulous job as Cha Ju-Ran. Equal parts horror, mixed with equal parts mystery. I found this to be an interesting watch. Loved the mystery behind it. Thought it was unique at times, and had moments to remember. Nowhere near the mastery of The Conjuring. This played out like a simple direct to video B-grade horror picture. It wasn’t horrible yet it wasn’t great. I enjoyed many moments in it. There were some creepy jump moments but the film felt slow and very unoriginal and predictable. 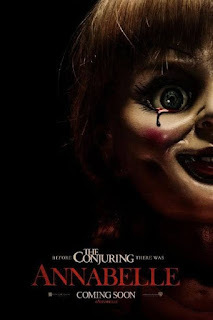 I liked the concept of telling Annabelle’s story but for a demon doll portrayed as truly horrible I was expecting a whole lot more. The acting is solid. The direction is okay, the story is flawed. I really loved the tribute to the master Mario Bava with the small child running at the door and when it gets close it’s an adult, hint the reality of Bava’s same moment in 1977’s Schock. The movie is an okay watch if you want a simple popcorn horror flick to blow time on. 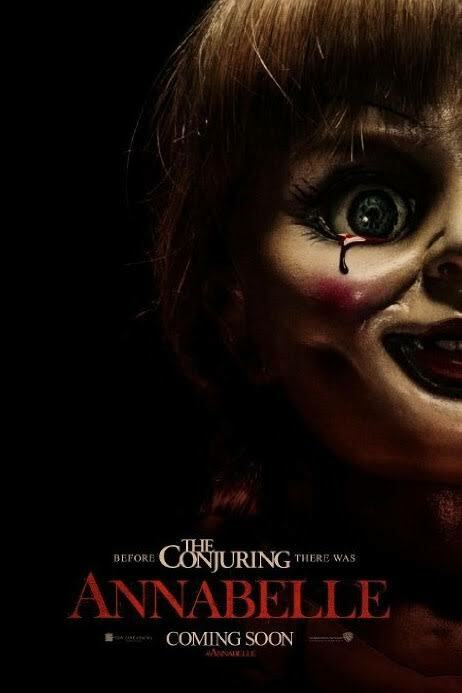 I was expecting a whole lot more to Annabelle but was very disappointed. Solid performance by the beautiful actress Annabelle Wallis. She was the defining moment in the picture and held the viewer to the end. Also, always a treat seeing Alfre Woodard. The movie is creepy fun at times. Some will enjoy more than others. 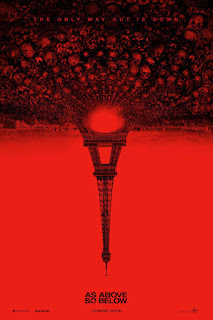 I felt it was an okay horror film that sadly will mean nothing in the long run. Another voodoo horror film mixed with a haunting and past actions and cover-ups of death. Nothing new to add to the horror. Solid acting and performances by all. The film flowed with ease as the story unfolded and worked for a simple Drive-in Horror film. Nothing spectacular. Not great but not bad. It was a simple watch. I enjoyed the ending even though it was predictable. 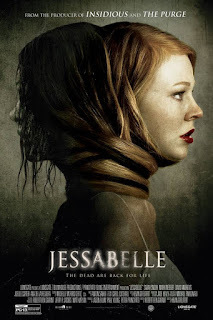 Sarah Snook gives a solid performance. She owned her part and you could sense her emotions as real throughout the movie. Loved the creepy Dead Girl played by Amber Stevens. Her character was classic horror. The movie is a simple fun popcorn film, to turn the lights off and the volume up, and simply turn your brain off and let this be a Horror Drive-In entertainment. Plot: This is basically what the title says. This is a drama induced depiction of the battle during World War 2 of Iwo Jima. Now the film builds the characters, a group brought together by John Wayne’s character. He ready’s them for battle. The group is often at odds but in the end come together to fight the ultimate fight. 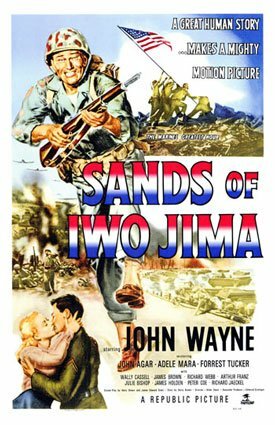 One of those classic war films starring the one and only John Wayne. The movie has that classic stance of war propaganda of the time, even though this one stands out differently, because it is not the simplistic we win style attitude. Main characters die. There is the aspect of getting to know the characters before their ultimate demise or struggle. I feel this is a classic World War 2 drama. It’s simplistic, over the top at times. Mela-dramatic in moments. Same John Wayne character, tough guy and yet plays a little drama in his persona. 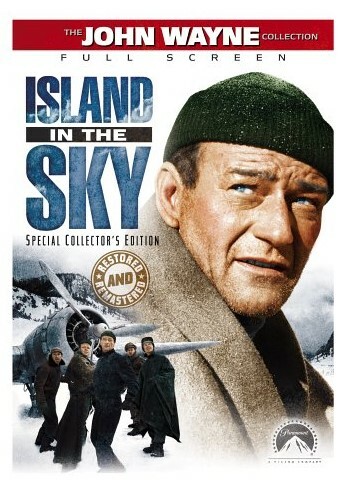 For World War 2 cinema lovers and John Wayne affectionate, this is a must watch. A wonderful cast that all come together to complete a well-developed story. Plot: A transport plane must make a forced landing in the middle of nowhere during the winter. They are lost, stranded. Captain Dooley must maintain his crew, solve the problem and remain calm during the ordeal. No real food, no real means to stay warm. They must work with each other to survive and wait for rescue. Another one of those classic John Wayne films. What makes this one stand out is the wonderful amazing cast of actors throughout this film, not only John Wayne but the wonderful Gunsmoke James Arness himself and the all-around goofy yet brilliant and amazing Andy Devine. The film is a mix bag of drama and a slight bit of comedy. It’s what you would expect from a John Wayne movie, the tough guy persona that must survive and save the day style reality, that John Wayne films are accustomed to be. For classic film fans and John Wayne lovers this is another one of those must-see films. Keep an eye out for the wonderful Carl Switzer. The one and only Alfalfa from the Little Rascals fame. His life is truly tragic. Died so young. 31 years old was a brutal reality for this amazing actor. I grew up with the old reruns of the Our Gang series. It’s amazing in his short 31 years he filmed and acted in 126 performances. As always Hollywood abandoned him and threw him out after using his childlike wonder. The lack of money would lead to his ultimate murder. It’s always wonderful to see him in these classic films. Plot: Eric Erickson is blacklisted during WW2. He joins together to assist the British Allies by force. They wish for him to infiltrate the Nazi regiment. This is a brilliant World War 2 film. Very deep and dark, and very intense for its time. There is a lot of brutal actions taking place. From vivid gunning down women. Bashing in a person’s head. Sensuality. There is a great mix of dramatic appeal and thoughtful storyline. There is a great bit of suspense that leads to a thrilling ordeal as you watch everything unfold. It’s one of the better war movies dealing with Spies. William Holden is amazing as your main lead. His style of performance is a true leading male actor. Holden was one of the true greats of cinema. This is also directed by one the greats, George Seaton who did so many wonders of cinema. I really enjoyed this Spy war film. The acting was amazing. The dramatic appeal was touching and thrilling at times. The plot was intense and left a lasting mark. 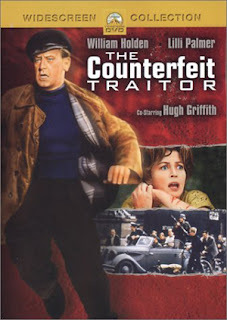 Holden is a master and a perfect brilliance that lingers and maintains the importance of his characters in cinema still to this day, and the character of Eric Erickson in The Counterfeit Traitor is a prime example of that talent. Highly recommend.